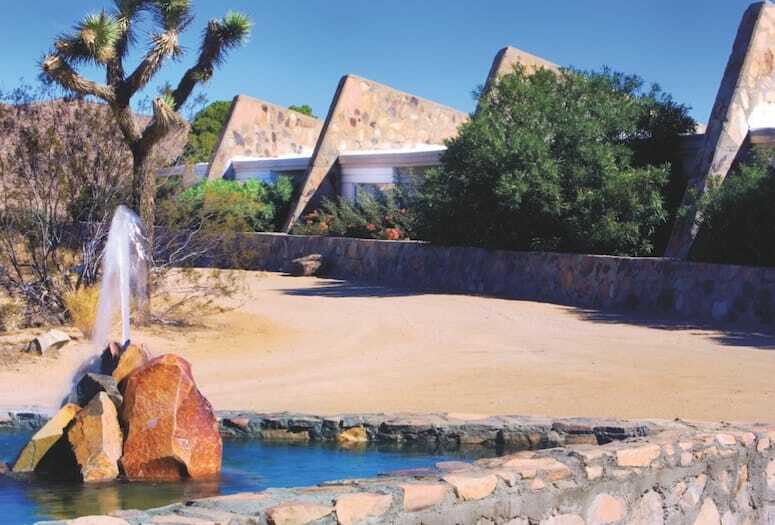 The Joshua Tree Retreat Center is designed by Frank Lloyd Wright and his son, Lloyd Wright. We have no way of confirming the claim of the Joshua Tree Retreat Center that it is the oldest and largest such establishment in the Western U.S. But we do know that it’s abundantly peaceful and that if you want to maximize what some people call your “human potential,” this is a dandy place to do it, by yourself or as part of a group. WATER SPRINGS ETERNAL. 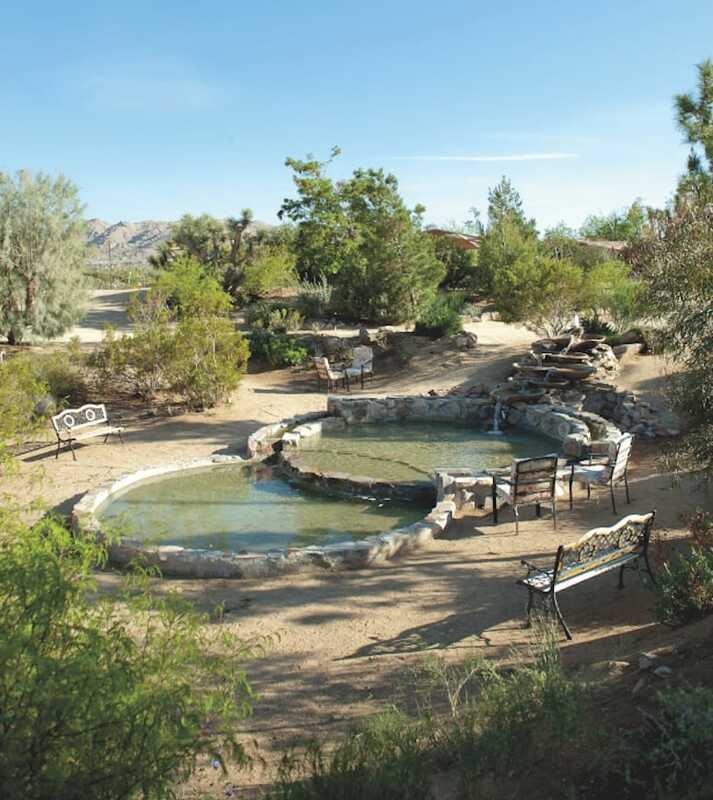 The retreat is in the high desert near Joshua Tree National Park, and sits on an aquifer, which its champions believe causes a “magnetic effect” that was exploited by ancient cultures. THE SUM OF ITS PARTS. 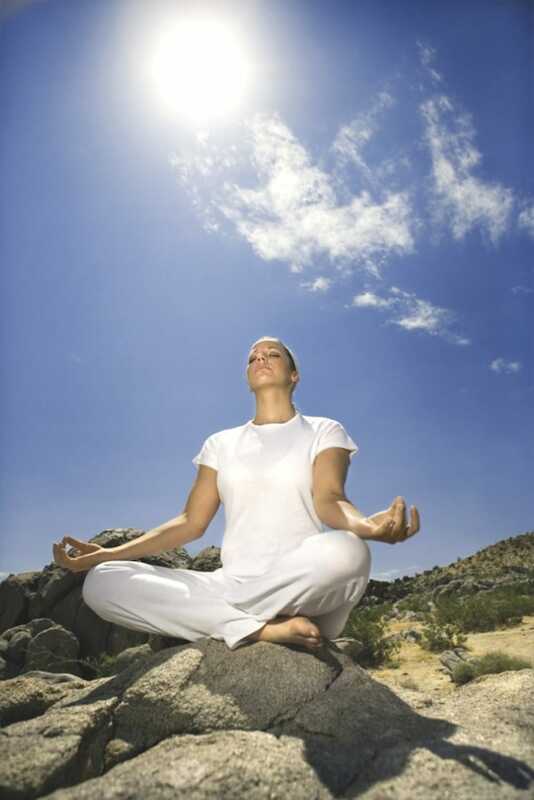 Walk through the labyrinth, practice tai chi and yoga, purify in the Lakota Sweat Lodge, get a massage. Design your own group retreat, or become part of the center’s whole. On tap this month: One Fire Hot Yoga Festival, July 6-10; AZIAM Detox Yoga Retreat, July 22-24; figure drawing, Tuesdays at 6:30 p.m.; meditation classes, Wednesdays at 6:30 p.m. Content sponsored by Trilogy at The Polo Club, 51750 Polo Club Drive, Indio, 760-775-5522. For more information, please visit the Explore 52 day trip kiosk at the Trilogy at the Polo Club clubhouse.